Using a sharp knife, cut off the peel and white pith from the grapefruit and cut it in segment. Mix together the yoghurt and rose syrup and spread onto a small plate or bowl. 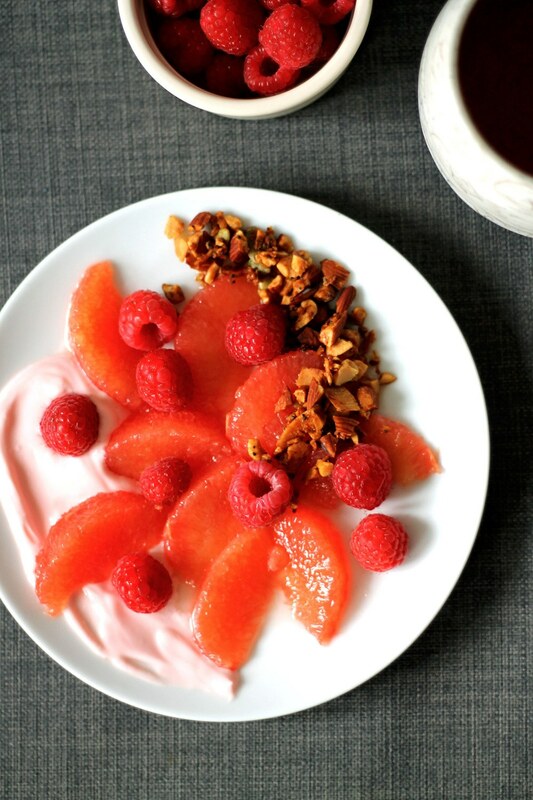 Arrange the fruit on top of the yoghurt and drizzle with a little bit of orange blossom water. Sprinkle with some paleo granola and serve immediately.